On Monday, 22,000 Chinese applied for new passports, on the the first day of the new policy allowing citizens to apply for travel documents without returning to their hometowns, CGTN reports. 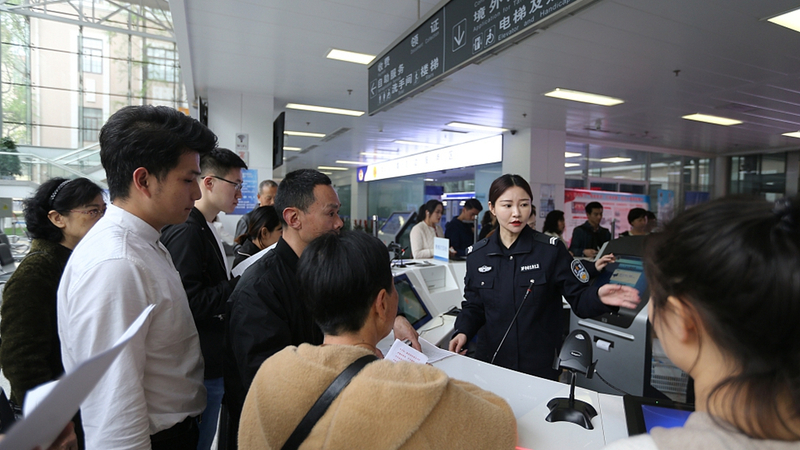 With the new measure slated to save people 20 billion yuan a year, immigration offices handled 77,000 applications including exit and entry permits on Monday. With China's National Immigration Administration (NIA) marking one year in operation this week, it vowed to create more favorable conditions to welcome more foreign businesses, investors and tourists to China. The office also supports more Chinese going abroad for tourism, business and study. Xu Ganlu, Director of the NIA, said they made specific reforms last year, including allowing travelers from 59 nationalities to enjoy visa-free to travel to Hainan and making sure Chinese citizens only need one trip to an immigration office to apply for documents while receiving diplomats from 42 countries and seven international organizations. The International Organization for Migration (IOM) said it is extending cooperation with China in border management and policy research. "Coupled with the growing importance of international migration from and to China, the establishment of the NIA created a unique window of opportunity for the IOM and NIA to further strengthen their ongoing cooperation on various aspects of migration governance," said Guiseppe Crocetti, IOM chief of mission. He said the IOM has had a close partnership with the NIA's predecessor, the Bureau of Exit and Entry Administration under the Ministry of Public Security. The cooperation was extended through the implementation of consecutive successful joint initiatives on a broad range of issues.